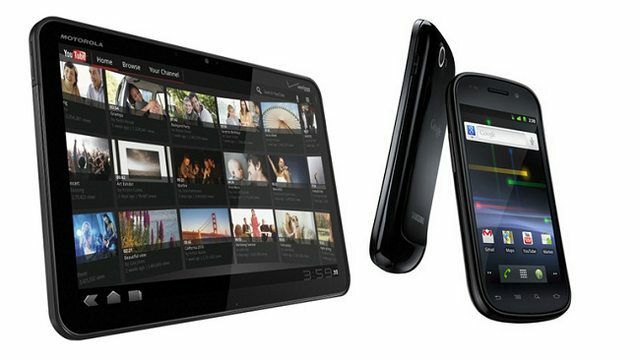 Google has presented Nexus 4 and Android 4.2, but regarding Android Open Source Project (AOSP) the technical lead Jean-Baptiste Queru announced today that the Nexus S and Motorola XOOM will not be updated to Android 4.2. Both devices will finish out their days on Android 4.1.2, just like the Nexus One was labeled as “too-old” to be upgraded to Android 4.0 last year. The source code for 4.2 is being pushed to AOSP right now. Nexus 10 is now the best choice for AOSP work on 4.2. Everything except the GPU code is Open Source, and the only proprietary binaries besides the GPU libraries are firmware files that get loaded into the various peripheral chips. Nexus 7 3G isn’t supported. We haven’t been able to license the GSM stack for AOSP yet, and without the GSM stack this device doesn’t do more than a plain Nexus 7. If AOSP starts pointing toward Nexus 4, you are having a bad problem, and you will not go to space today (i.e. : there is nothing in AOSP related to Nexus 4). There is no support for 4.2 on Nexus S and Xoom. Those devices should continue using 4.1.2. Google isn’t revealing the reason behind this decision, but probably is related to hardware limitations. Android 4.1 runs quite well on both devices, but many users have complained that the latest update, 4.1.2 has significantly slowed down their devices.